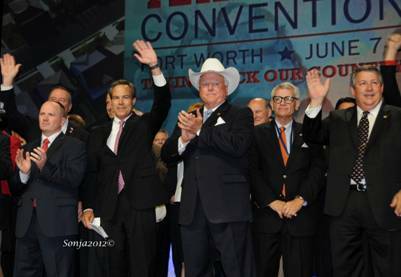 Governor Rick Perry addressed the Texas delegation on the first day of the convention Thursday, June 7. As usual his speech was motivational and geared to ‘Keep Texas Republican.’ He enumerated accomplishments from the past and looks to the future of Texas as a leader. “We need a president who believes in us again,” he remarked. It was an inspiring speech but somewhere towards the middle as he endorsed Lt Gov David Dewhurst, the mere mention of that name brought a spontaneous BOO! The grating BOO engulfed the arena taking 15 seconds to die down. It was a grassroots sign of displeasure with Dewhurst. 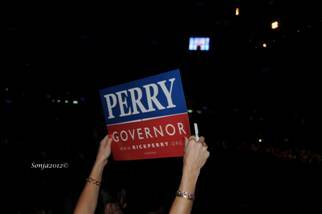 Perry handled the situation well emerging as a speaker who has learned to control difficult situations. 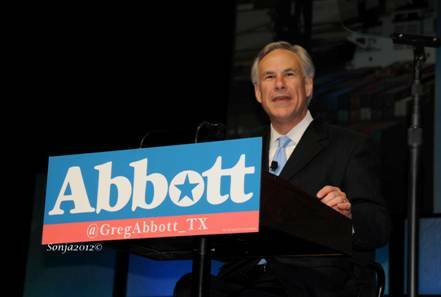 Texas favorite Attorney General Greg Abbott spoke on the opening day of the Texas State Convention in the Fort Worth Convention Center arena. The delegates gave him a thunderous welcome. 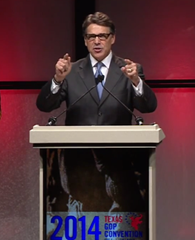 He has managed to steal the hearts of Texans for his untiring dedication to Texas and America. He referred to the convention as the largest on “planet earth.” He gave credit to the Navy Seals for Osama Bin Laden and not Hussein and has a positive vision for America. “The party that gave rise to Abraham Lincoln and Ronald Reagan,” he said, “is the party that will be the demise of Barack Obama.” These comments brought more applause and whistle calls. 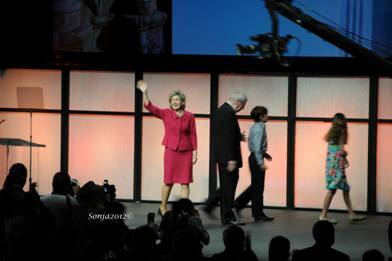 It was a bit sad on Friday morning June 8, to see Senator Kay Bailey Hutchinson give her farewell speech after serving as Texas state Representative, State Treasurer and finally as US Senator for a total of 25 years service. Before she was able to utter her last good bye, her time at the podium was interrupted when she announced that we should rally around Mitt Romney. BOOs were heard from supposedly Ron Paul fans but quickly shushed. “So for me, it is good-bye for now. But I have loved this state. 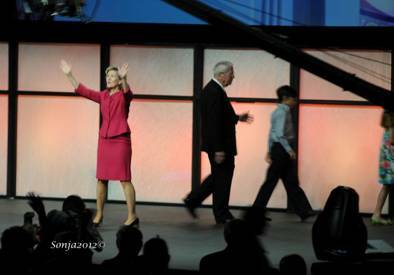 I have loved the opportunity that the Republican Party has given to me,” she told the crowd. It was especially special for me to capture her last wave. As you can see it is sincere and then she stopped and changed directions facing the audience once again giving a two handed wave and kiss. A moment caught in history that will linger. 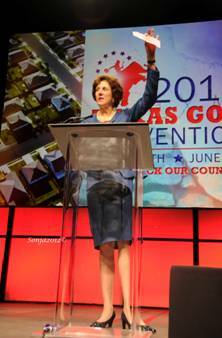 Comptroller Susan Combs shows delegates her Barack Obama ‘Pink Slip.’ Combs in her very quiet and unassuming way seems to get her job accomplished without much fanfare. 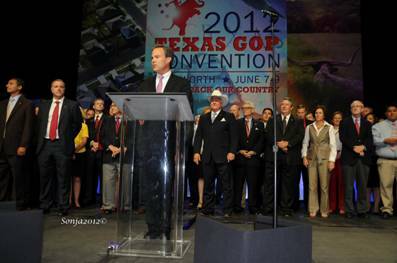 I was very curious what the reaction was going to be between the delegates and Speaker of the House Joe Straus. There was a plan in place by some to walk out during his address and being up in front I could see shadows in the back leaving the arena. 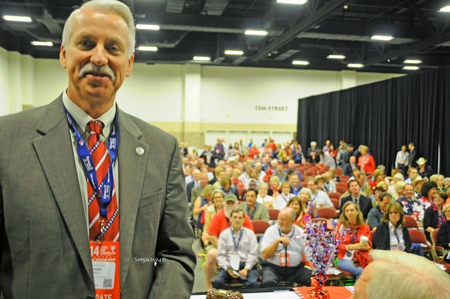 The Texas GOP convention program listed the House District Representatives as being introduced after the Speaker. Instead Straus came in after the house representatives using them as a backdrop. From my perspective, it appeared that he was well aware of his situation. His speech was quick, and when he concluded, he walked toward the representatives and struggled to find his place among them. His body language revealed that it was an uncomfortable and awkward time for him at the podium and on stage. The primary election had not yet been called between Matt Beebe who opposed him for his House District 121 seat then Representative Bryan Hughes from Mineola challenged him for the Speaker of the House position. As much as I wanted to be at every meeting during the Breakout Sessions, it was logistically impossible to do so. Ron Paul’s speech titled ‘Uniting Republicans and Balancing the Federal Budget’ was heard by his many zealous and sometimes fanatical supporters during a breakout session. Paul was introduced to his audience as an ‘American icon' who should be the next president of the United States. His ardent supporters still believe that he will be the presidential nominee in Tampa, Florida. Has it occurred to his many followers who Paul would select to be in his cabinet? Who would agree to serve under his leadership? Who would rally around this man who has served in the house three different times for a total of 22 years with little evidence of accomplishment? It is ironic that these very same supporters have the attitude, ‘throw the bums out’ referring to politicians with entrenched length of service. Considering what could have happened had his supporters acted as reported at other state conventions, things could have had a chaotic turn of events, instead it was a great convention. 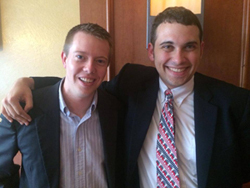 I do believe there is hope for working amicably in the future. 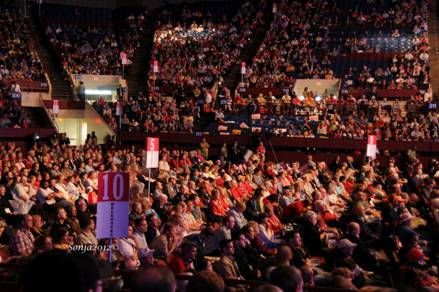 The 2014 Republican State Convention was a huge success!